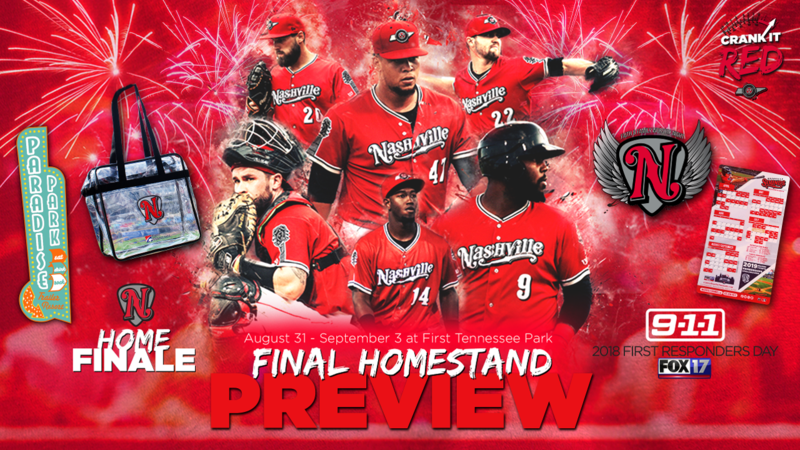 NASHVILLE, Tenn. - The Nashville Sounds Baseball Club returns to First Tennessee Park for their final homestand of the 2018 season set to begin on Friday, August 31. The Sounds welcome the Memphis Redbirds, the Triple-A affiliate of the St. Louis Cardinals, for a four-game series. Friday, August 31 vs. Memphis - 7:05 p.m.
-Faith and Family Worship Night presented by Trevecca University - Join the Sounds for a night of worship and baseball. Two musical performances take place near the Family Fun Zone with Trevecca's own student band "Awaken" starting the action at 5:45. At 6:15, singer/songwriter David Dunn begins a 30-minute set to close the Faith and Family Worship Night festivities. -FOX 17 News post-game fireworks presented by Koorsen Fire & Security. 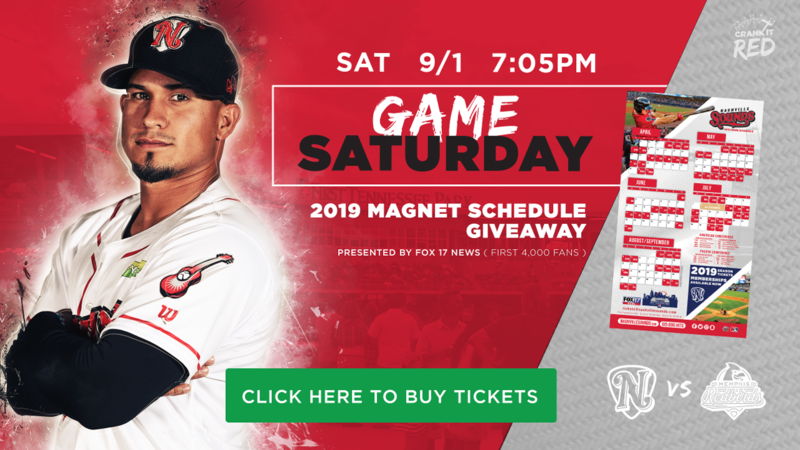 Saturday, September 1 vs. Memphis - 7:05 p.m.
-2019 Magnet Schedule Giveaway to the first 4,000 fans presented by FOX 17 News. -Paradise at the Park Night - The Sounds and Strategic Hospitality form a good-natured tribute to the beloved Broadway Street bar. Festivities at The Band Box include live music by "The Otherside," as well as $6 Natural Light beer specials and Paradise Park's famous hand-dipped corn dog and grilled cheese and tots. Fans can purchase a special package for only $25. -Enjoy Saturday at the Park with visits to The Band Box and our Family Fun Zone in the right-field corner. 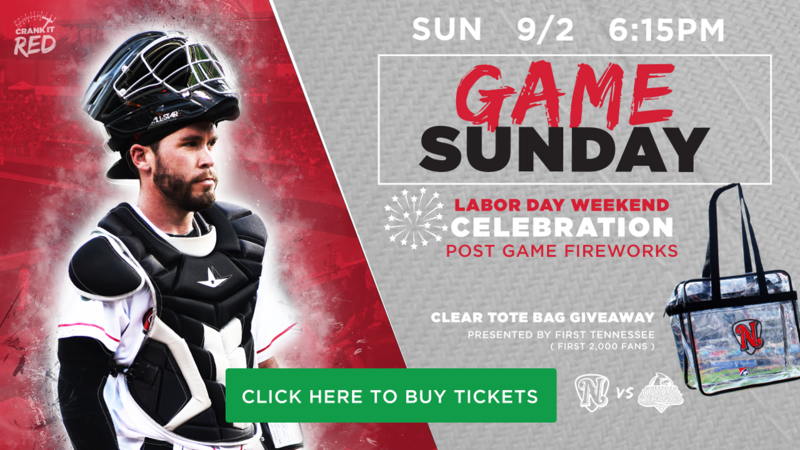 Sunday, September 2 vs. Memphis - 6:15 p.m.
-Celebrate Labor Day Weekend with an all-you-can-eat cookout on the Club Level at First Tennessee Park. The cookout includes a Club Level ticket, all-you-can-eat picnic, Budweiser and Bud Light draft beer, soda, water, tea and a pair of Sounds sunglasses. Prices start at $55. -Clear Tote Bag Giveaway presented to the first 2,000 fans presented by First Tennessee. -Camouflage Jersey Auction benefiting Operation Homefront. The online and mobile auction will begin at 10:00 a.m. Friday and finish at the end of the sixth inning. Winning bidders in-ballpark will receive their game-worn signed jersey on the field post-game. 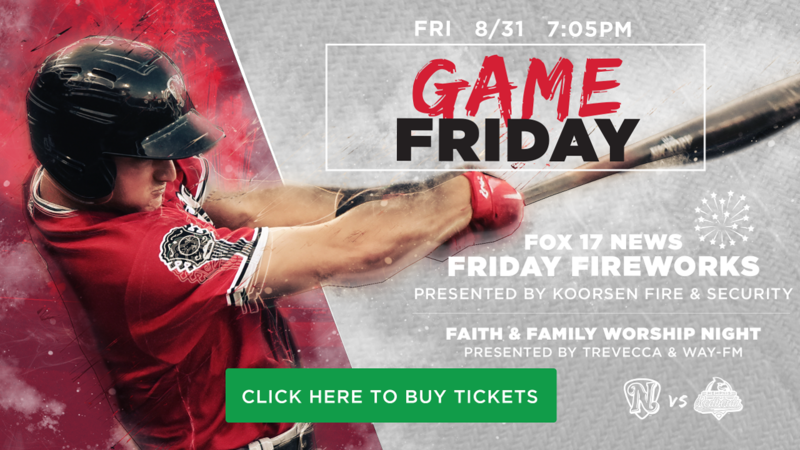 -FOX 17 News First Responders Night presented by 9-1-1 - The Sounds show their appreciation for Middle Tennessee's First Responders with discounted tickets and a post-game on-field challenge featuring local first responders. -Memphis Grizzlies Night - Meet and greet with Grizzlies guard/forward Dillon Brooks, Grizz, Grizz Girls and the Claw Crew. -Labor Day Weekend Celebration post-game fireworks show. 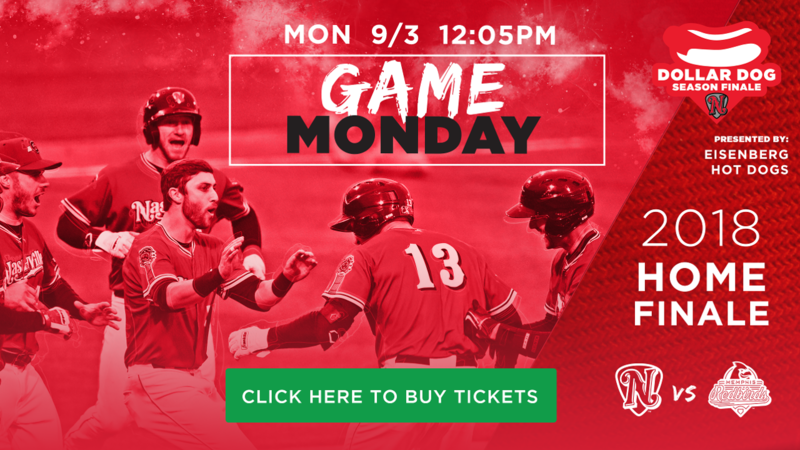 Monday, September 3 vs. Memphis - 12:05 p.m.
-Gates open at 11:00 a.m.
-$1 Hot Dog Day presented by Eisenberg. Limit five hot dogs per transaction. -Kroger Plus Monday - Buy a "Family 4-Pack" that includes 4 Select section tickets, 4 hot dogs & 4 fountain sodas for $44 when fans show their Kroger Plus card at the Sounds Ticket Office.